If you’ve used heroin for weeks or months at a time, you know how powerful this opiate-based drug can be and how difficult it is to stop or reduce drug use. In effect, the longer heroin abuse continues, the more out-of-control this “habit” becomes. What starts out as a seemingly harmless recreational activity gradually turns into a daily need as never-ending drug cravings make life unbearable in the absence of the drug. After so many attempts to stop using heroin, the need for opiate drug addiction treatment becomes more so apparent with each passing day. 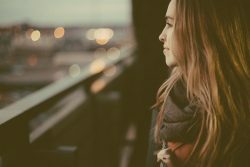 While not an all-out cure, opiate drug addiction treatment can equip you with the needed tools and supports for taking back control of your life from heroin addiction. Opiate drug addiction has to do with the effects chronic drug abuse has on a person’s thinking, emotions and behaviors. The roots of addiction originate within the chemical processes in the brain and the damaging effects heroin causes. According to the National Institute on Drug Abuse, heroin abuse essentially changes the brain structurally, which inevitably changes how the brain works. In effect, the ongoing damage brought on by heroin abuse creates a heroin dependent environment, both physically and psychologically. Call our toll-free helpline at 800-429-5210 with any questions you have regarding heroin addiction treatment. Addiction treatment provides the coping skills needed to avoid heroin use. According to Mount San Jacinto College, addiction treatment entails breaking the body’s physical and psychological dependence on a drug’s effects. In the case of heroin addiction, a person is left with long-term aftereffects in terms of the brain’s functional capacity as well as on his or her thinking and behaviors. For these reasons, the opiate drug addiction process uses medication therapies, such as methadone and buprenorphine to support damaged brain functions, while helping replace addiction-based thinking and behavior with healthy daily living coping skills. In cases of mild or early stage addiction, medication therapy treatment may not be necessary depending on the severity of the addiction. Addiction by its very nature is defined as a chronic brain disease that carries an ongoing potential for relapse. This means a person can remain vulnerable to drug-using urges for months or even years after stopping drug use. This is especially the case with heroin addiction problems. Under these conditions, opiate drug addiction treatment interventions can only work to help you manage the effects of addiction in your daily life rather than cure it altogether. It’s not unreasonable to expect a treatment program to cure your addiction problem considering how so many other types of medical conditions can be cured outright. Unfortunately, heroin addiction’s effects change the brain on a fundamental level so addiction recovery focuses on restoring normal brain functioning while helping you manage drug-using urges and behaviors. What’s most important is to seek out opiate drug addiction treatment help sooner rather than later as the recovery process becomes that much more difficult the longer compulsive drug-using practices persist. For help with finding a treatment program that addresses your specific needs, call our toll-free helpline at 800-429-5210 to speak with one of our addiction specialists.